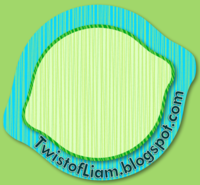 Teaching with a Twist of Liam: Pick a kid, any kid... Continued. I have had requests for more details so here they are. I was going to upload it Google Docs but it reformatted the file to the point of unusable. A PDF would have been useless unless you had the same class list as I do, which I doubt. Instead, here's a quick and easy process to make your own. I'm working with Word so Macfolk, you will have to follow as best you can. 2. Drag the bottom border to the bottom of the page so it fillls the page nicely. Click 'Layout', 'Distribute Rows'. Magical! 3.The rest is up to your own creative genius. Whatever you do, watch that you don't change the size of the cells or else the cards will be different sizes. Row 1 is the face of four cards, Row 2 is the back, Row 3 is the face of another four cards, Row 4 is the back of those cards. 4. When it looks good, print it off. If you cut the margins off and cut between Row 2 and 3, you just need to fold them up and laminate them. Something must be weird with my Mac (which makes me terrified!) 'cause I can't see either of our favicons yet...but I know they'll be there tomorrow on my computer...strange, isn't it? Thanks for reading and trying it out! My partner has a Mac and doesn't see my flavicon either but mine has it. Must be a thing with Macs. I saw my favicon this morning (must be something magical that happens overnight to my computer haha!). I don't see your lime though!